Learn more about Signature's various options, styles and materials available. What Can You Achieve With French Doors? 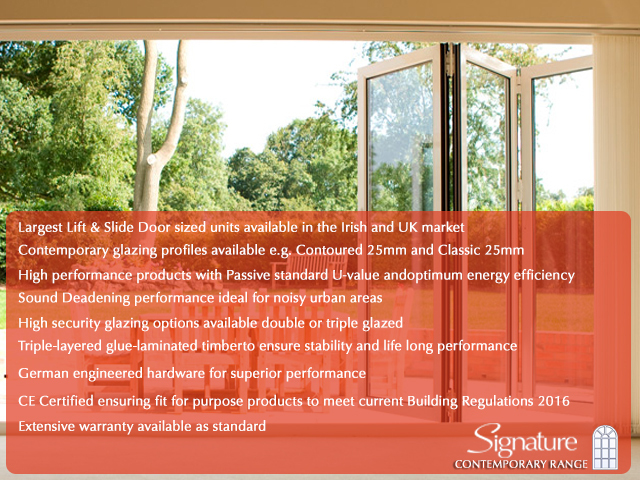 French doors are one of Signature’s best selling products for many reasons. When our clients come to the showroom looking for ideas or inspiration for improving or remodelling their homes, our design experts agree that if they want to add light to a room, create a visual link between two spaces or just give their home a fresh new look, all the roads lead to one end: French Doors. 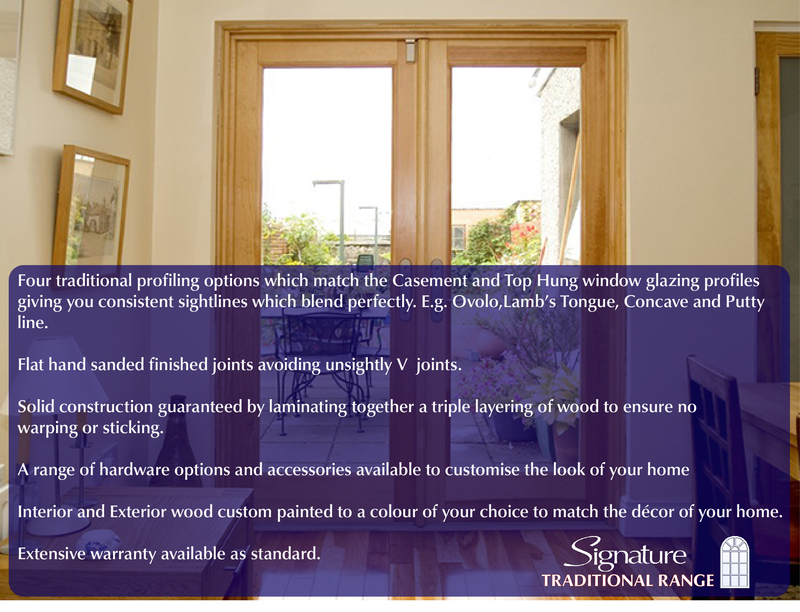 With virtually infinite bespoke design options, Signature offers you the possibility to choose different wood species & stains, glazing bars designs, hardware finishes and a whole range of RAL Colour finishes to match the style of your home, whether it is traditional or contemporary. There’s a french door for every design needs and budgets. We want to help you find the one that suits your home best. First things first. Signature’s bespoke french door ranges. 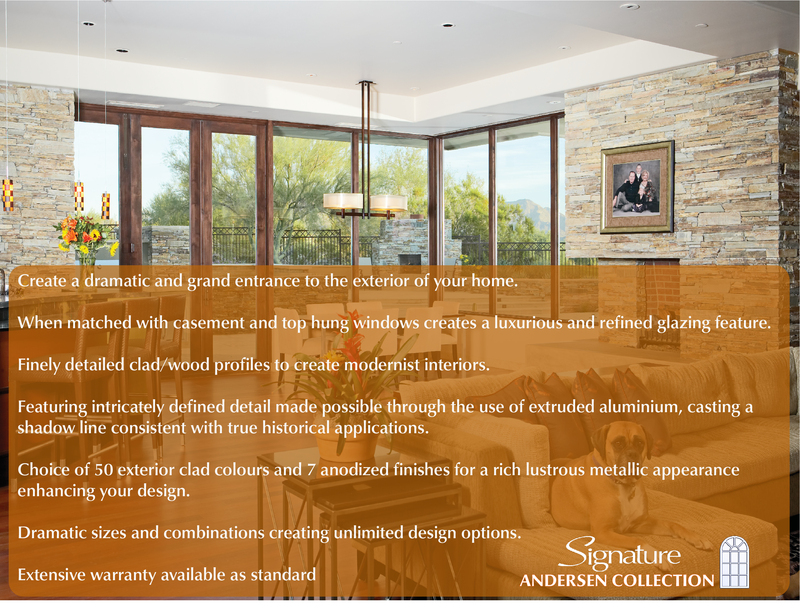 If you are looking for aluminium clad wood doors, you can’t miss the opportunity to discover our beautifully crafted Andersen collection, including classic French doors and sliding French doors. Where design & performance go hand to hand making your home look incredible. If you’re still looking for french doors but you’re really interested in performance features such as soundproofing and energy efficiency, we still have another thing to tell you. Discover Signature’s Contemporary Range featuring High-Performance Contemporary Style Wood and Aluminium Clad Wood French Doors. Click on each one to access the gallery and learn more about them. For more information about French doors, please contact us here or come to any of our showrooms in Dublin or Dunlavin, Co. Wicklow. Our professional design team will be happy to help you!